Crowded rooms are by far the most common everyday panic attack trigger, according to new research. A national study of 1,000 panic attack sufferers conducted by panic disorder specialists bcalm found that crowded rooms are even more triggering than getting on a plane. More than a third (35%) of UK adults who participated in the study said crowded rooms were their number one trigger. The study found men are almost 20% more likely than women to be triggered by being in a crowded room, with 40% of men listing this as their main panic attack trigger, compared to 33% of women, an increase of 18.5%. A panic attack occurs when the body goes into "fight" or "flight" mode and can cause symptoms such as a pounding heartbeat, feeling faint, sweating and nausea. Different people have different triggers and some do not know their triggers at all. The bcalm research uncovered that over-55s are the group least likely to be triggered by crowded rooms, with just over a quarter reporting it as their top panic trigger. People aged 35-44 are the group most likely to experience a panicattack in a crowded room, with 41% citing it as their number one trigger. Although the majority of study participants were able to identify their most common trigger, not everyone knows what their own trigger is, according to the data. 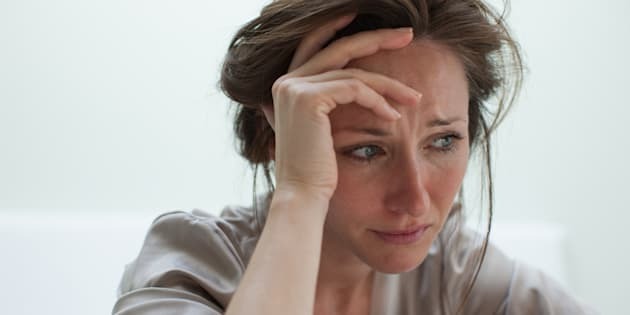 A total of 28% of respondents said they suffered panicattacks that had no obvious trigger, with women significantly more likely to experience this type of panic episode. Geoffrey Wolf, co-founder of bcalm, said of unknown panic triggers: "This can be a problem in itself, as without a known trigger, sufferers are left open to the possibility that an episode could happen regardless of context. "They're unable to avoid unknown triggers in the way people with known triggers can. It's a vicious cycle." As well as this phenomenon affecting women disproportionately, it also affects young people. Adults aged under 24 are the demographic most likely to be triggered without warning. Age generally plays an interesting role in trigger propensity, the researchers said. Youngsters are the most prone to being triggered while driving, for example, and 18-24 year olds are 33% more likely to have a panicattack while driving than the over-55s. This may be linked to driving experience and the fact that new drivers are likely to be more nervous when taking the wheel, the researchers said. They also found that people aged between 25-34 are twice as likely as people aged 35-44 to experience a panicattack on a flight. But the latter group are just over 20% more likely to experience a panicattack due to being in a crowded room, suggesting that personal interactions are more likely to impact panicattacks as we get older. Location plays a relatively minor role in panic trigger propensity, although one odd data point did stand out. Londoners are significantly more likely to experience a panicattack onboard a plane than the average UK panicattack sufferer. More than one in 10 Londoners cite plane travel as their top source of panic, more than double the national average. For advice and tips on how to deal with panic attacks, read our feature on the topic or visit the NHS website.